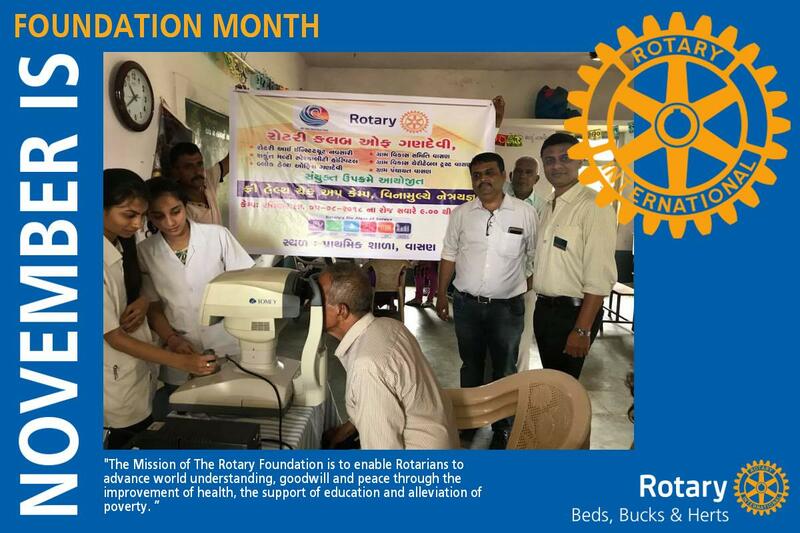 November is Rotary Foundation Month, so I would particularly like to thank all those Clubs amounting to almost two thirds in our District who have pledged to support our in-District Global Grant for the Fibroscanner for the detection of liver disease. 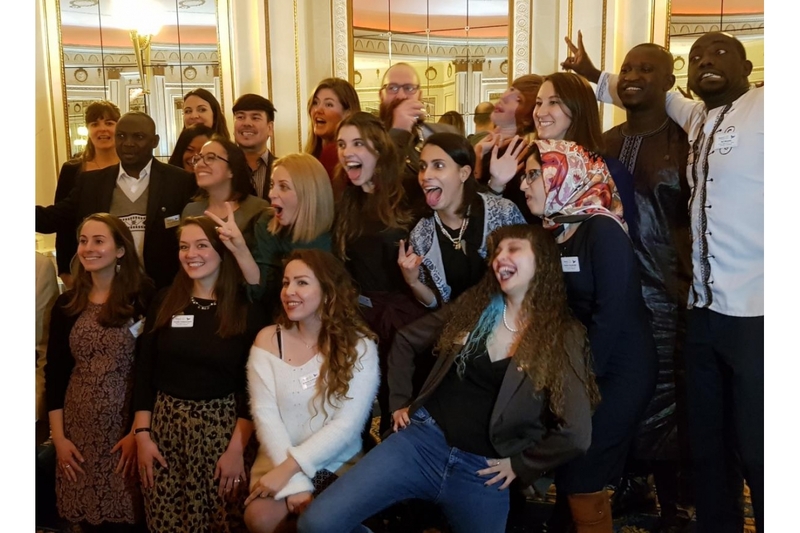 It is also vitally important for Clubs to keep on contributing to our very own charity so that projects like this together with those both locally and overseas can be undertaken. 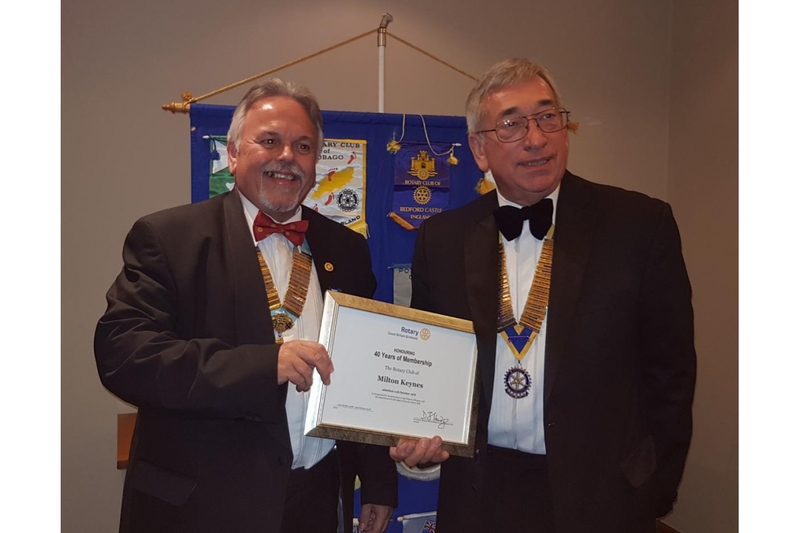 During October I have visited the Clubs of Potters Bar, Berkhampsted Bulbourne, MK Watling, Amwell, Barton-le-Clay, Milton Keynes Grand Union, Hitchin Priory and Watford as well as attending the charter celebrations of Letchworth Garden City ( 94) Buckingham ( 50) and Milton Keynes (40). 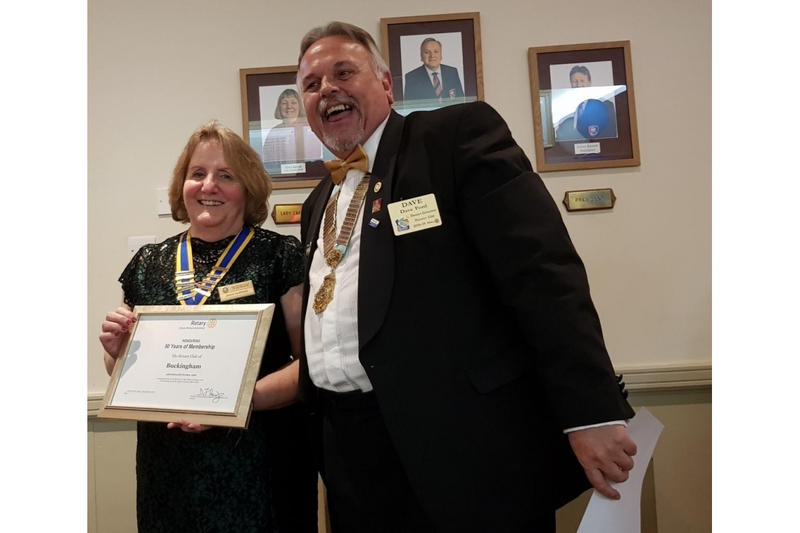 I attended the Inner Wheel District 26 Rally on the 18th October, while we were hosting former RI Director Brad Howard and his wife Marcia, who gave a tremendous presentation to us at Tilsworth that evening. 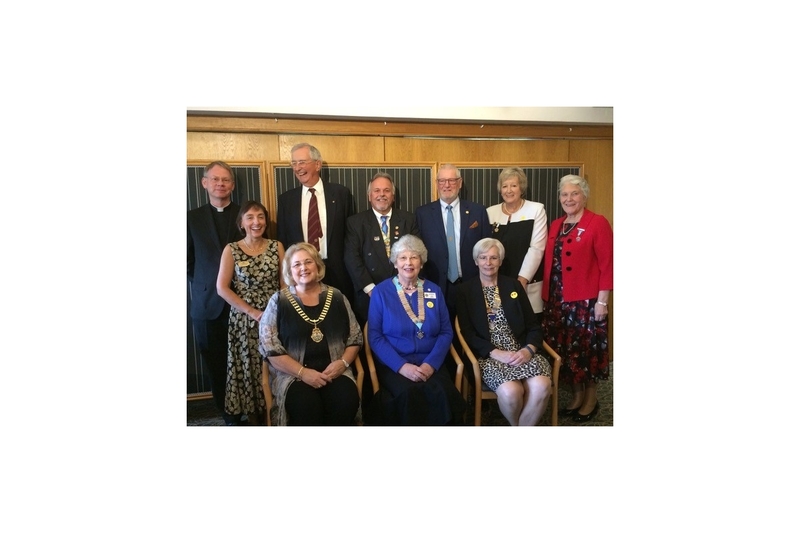 Last weekend we attended the Bill Huntley Peace Seminar in Bradford along with several other District Rotarians. The quality of these young people is quite exceptional and I would recommend this seminar to everyone. 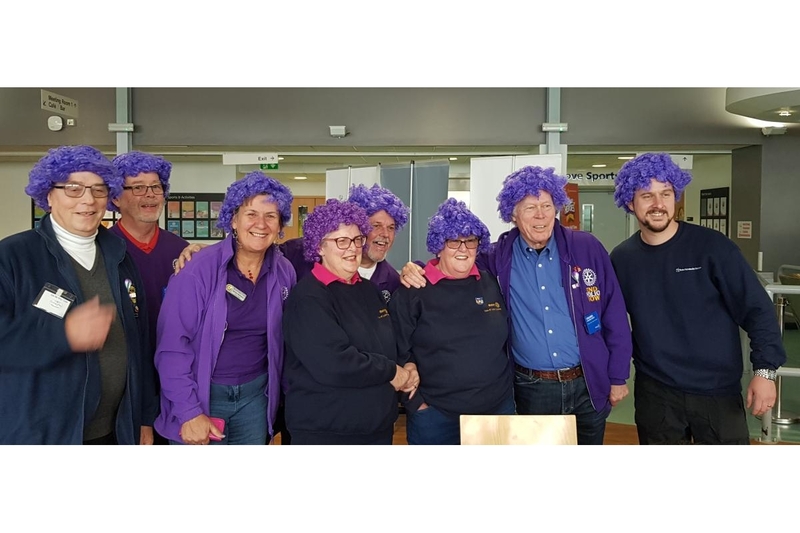 World Polio Day on the 24th October saw us at Stoke Mandeville Stadium helping to Plant 20,000 crocus corms along with about 40 other Rotarians, members of Horatio’s Garden, Wheelpower and the Boys Brigade and a few members of the public. The afternoon finished with tea and cakes provided by Wheelpower. If any more Clubs would like to contribute £10 toward the cost of the bulbs, please send it to District Treasurer Cedric Kennedy. 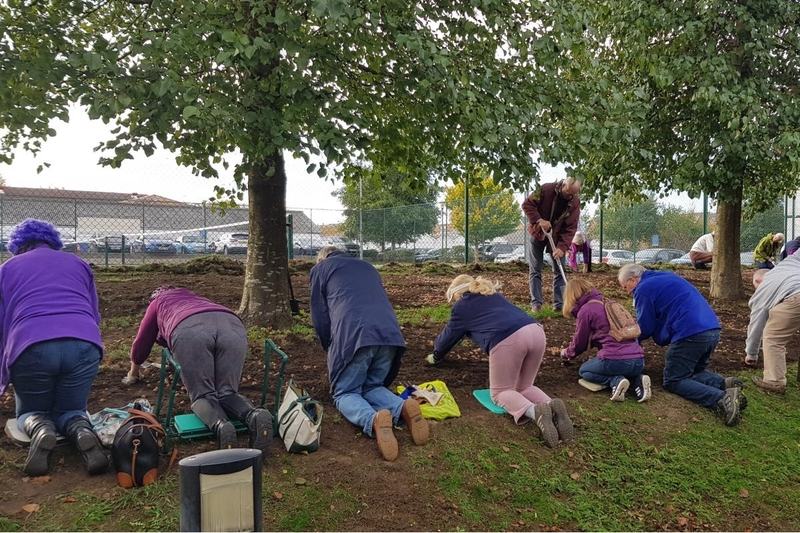 I know a number of Clubs planted many thousands of Crocus corms all over our District and you are all to be commended for that. Let us hope the squirrels don’t get to many of them this year and that we can all enjoy their blooming in the Spring. 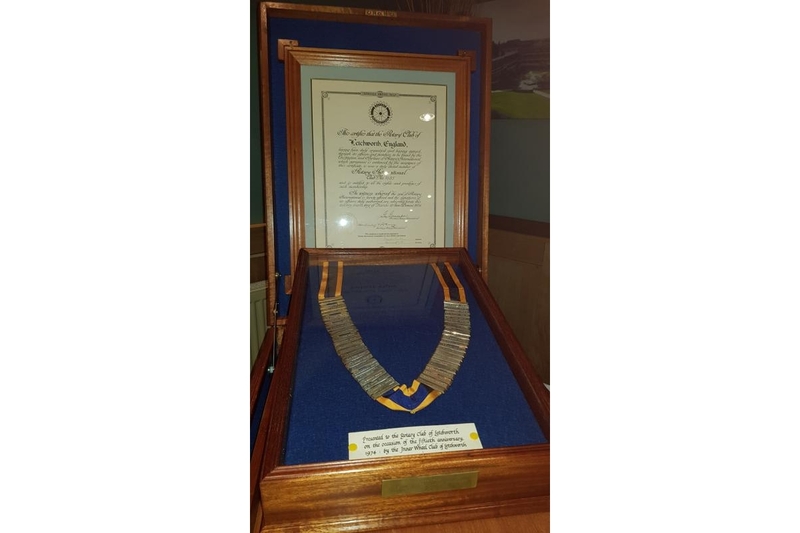 I have a good number of Club visits lined up for November, together with our first Technology Tournament, heats of Youth Speaks, St Albans 90th Charter celebrations, a couple of quiz nights and several committee meetings. Keep on supporting the Rotary Foundation and keep on Being the Inspiration. Apart from cricket, Geoff's greatest attribute was the ability to keep his team mates amused with his hilarious dry northern humour which he now brings to the after dinner speaking stage from his roots in Chesterfield. By virtue of the sport he was in, and the life he has led, Geoff now possesses a whole host of brilliant anecdotes and stories about himself and his colleagues. Following his success as an England Test Selector for almost eight years, Geoff was appointed Head of the England Selectors in 2008 and retired after the England’s victorious Ashes tour in the UK in 2013. He was appointed OBE in the 2014 New Year Honours for services to cricket. Outstanding entertaining speaker Better speaker than cricketer!! !